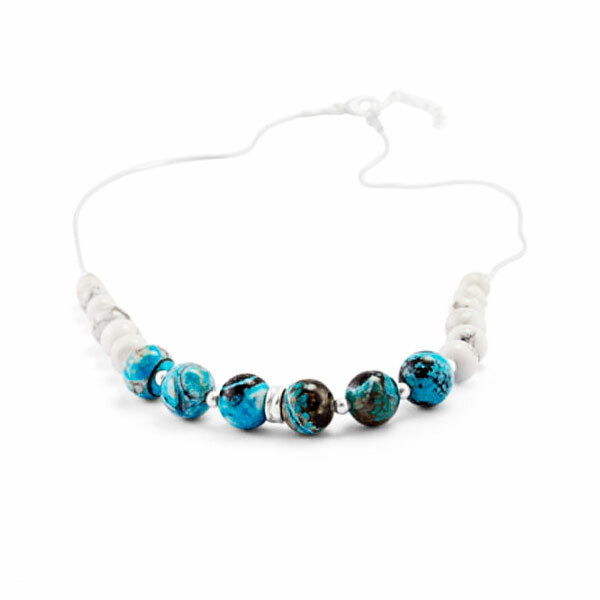 A sterling silver necklace set with striking Blue Chalcedony and White Howlite beads. To the front of the necklace are six lovely blue veined Chalcedony beads separated by silver dividers - a larger one at the centre and small ball shaped forms to the sides. Behind the Chalcedony beads are smaller white Howlite beads, six to each side of the necklace. Size: The necklace is adjustable to 18 inches in length.